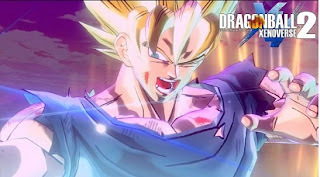 In Dragon Ball Xenoverse 2, to unlock Flying License you must meet some conditions. If you want to get all 7 Dragon Balls in the game then you have to go to Shenron, which you find on the Dragon Ball base, which - as you will have already guessed - is so high that you have to fly. So you can see that Pilot's License is very important. You get the flying license from Supreme Kai of Time, who gives you a special story mission. But for that you must have come to the place in the game, then you must defeat friezer and his brother Cooler. In order to get this story mission, which is generally indicated on your map with the symbol of a red scroll, you have to run through the light portal and reach the time chamber there Supreme Kai is waiting for you. Here, you can also talk with him if you want to import your old character from Xenoverse 1. Kai sends you on time patrol. Here you will experience many different sagas of Dragon Ball Universe. Then complete the Friezer saga to obtain the pilot's license. In this mission, you must stop Friezer so he cannot collect all Dragon Balls. At the end of the fight, you'll also be dealing with his brother, Cooler. But you will get strong help from Son Goku. - The fight is not easy and consists of several parts. Since you have to fight 2 enemies, you should keep Son-Goku remains alive until the end. So that he can help you in the fight. - So bring healing items that also help Goku. We recommend group energy or group regeneration energy capsules. - In the first phase, Goku takes care of Cooler, so you can concentrate on Freezer. This is about reducing the health as quickly as possible from the opponents. - Once you have done that, you reach the second phase of the fight. Focus first on a brother and beat him down with Son-Goku. Use your Boost Sprint to get some distance between you and your opponents so that you can avoid your blows because your combinations can suddenly reduce your health to half. - If the first opponent is killed and Goku is still alive, then you can fight together against the last enemy. If you have won the last fight, then the Freezer saga is completed. The Supreme Kai of Time welcomes you now and appoints you to the elite time soldiers, for which you also get your pilot's license as a reward. Now you can fly almost entirely through Conton City with the exception of places like the Friezer orbit or the Capsule Corporation.